'There was a sense of panic' Jump to media player A passenger who was waiting to take off from Los Angeles airport describes 'the sense of panic' at the scene. 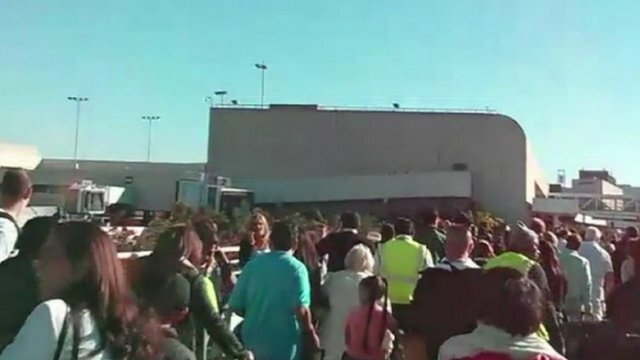 Passengers told to leave LAX airport Jump to media player Several people are wounded by gunfire at Los Angeles International Airport. 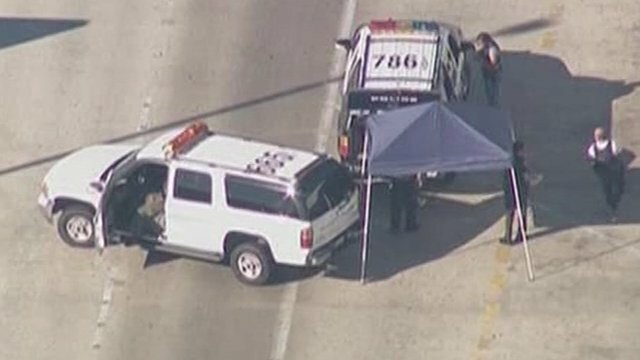 Los Angeles airport: Aerials of scene Jump to media player Los Angeles international airport is locked down amid report of gunshots -and television footage shows wounded wearing what appear to be transport security uniforms. 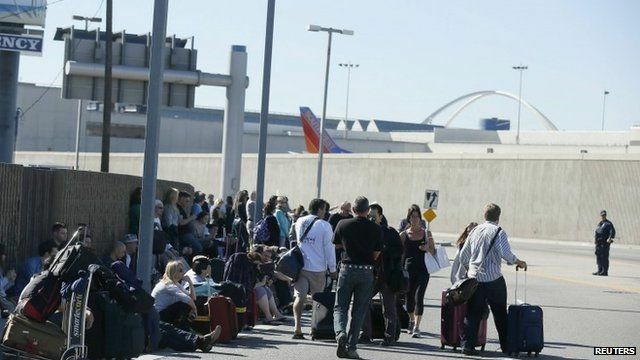 Several people have been wounded by gunfire at Los Angeles International Airport, and a suspect has been taken into custody, officials have said. The Transportation Security Administration confirmed one of its employees had been shot. Nathan Sunshine, who was a passenger waiting to take off at the airport, said there was a sense of panic at the scene.